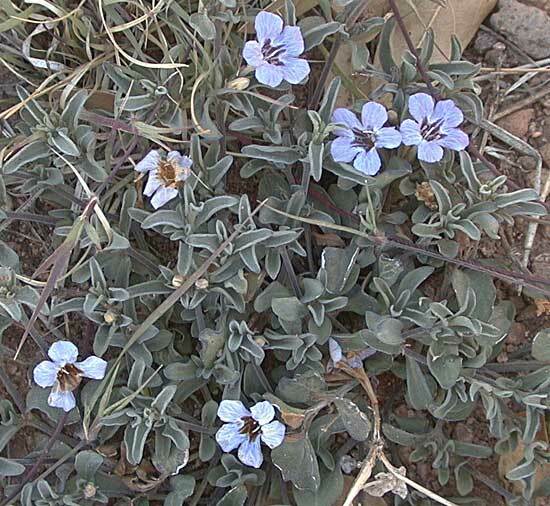 Notes: This small blue flower blooms from a creeping, dark green, narrow-leaved plant. I have not seen it cover large areas, no more than about 8 or 9 inches on a side. It has been in bloom for about a month, mostly single flowers until recently, when the number of open flowers on a plant has increased greatly. 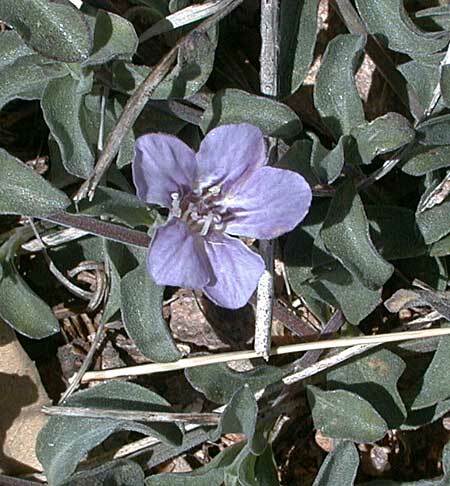 1 species (possibly a second) of Dyschorista in Arizona. Spreading Snakeherb plant profile on the USDA Plants server.